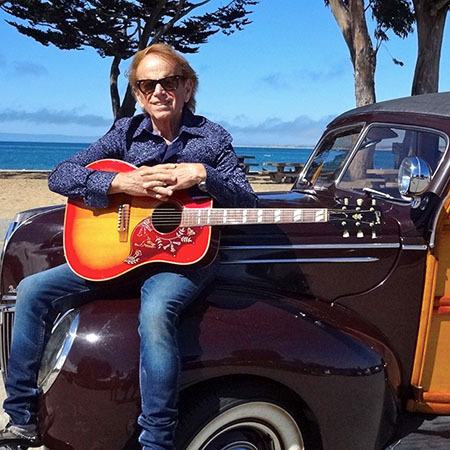 Al Jardine, guitarist, vocalist and songwriter, is best known for being one of the founding members of The Beach Boys. Known for their perfect harmonies and original tunes about surfing, beaches, hot rods and California girls, The Beach Boys became the rock 'n' roll voice of the West Coast in the 60's and 70's. Last year Al began playing solo shows on a tour featuring songs and stories from his early days to his most recent solo album, A Postcard from California. Al, along with his son Matt Jardine, deliver an intimate show full of hits and rarities combined with never-before-heard stories from Al’s amazing career. With rave reviews from fans and critics, it’s truly a show not to be missed.